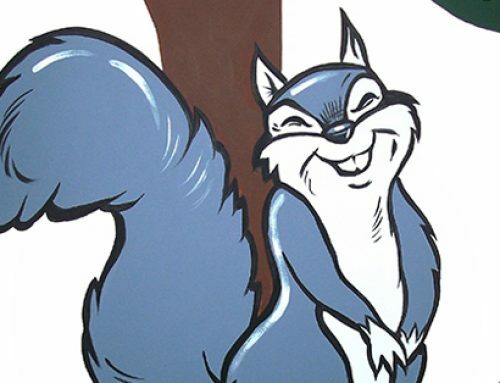 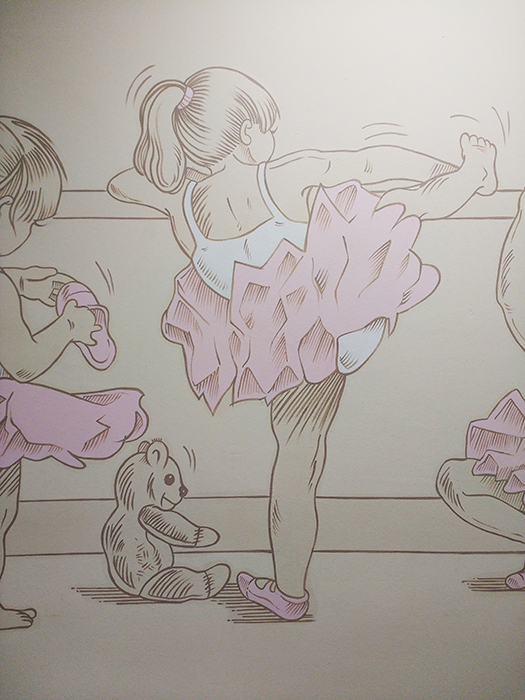 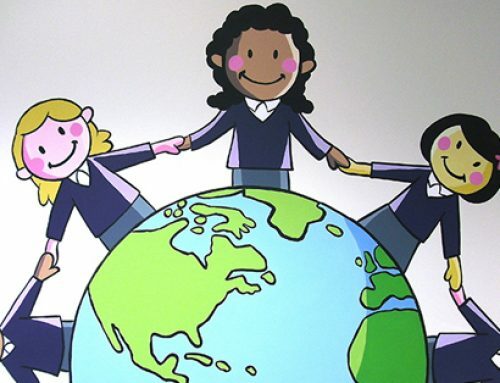 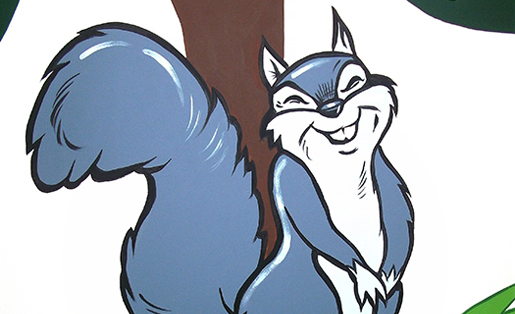 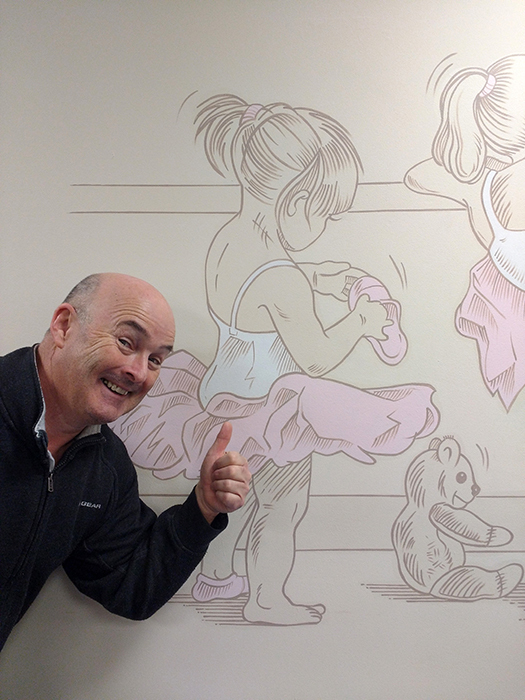 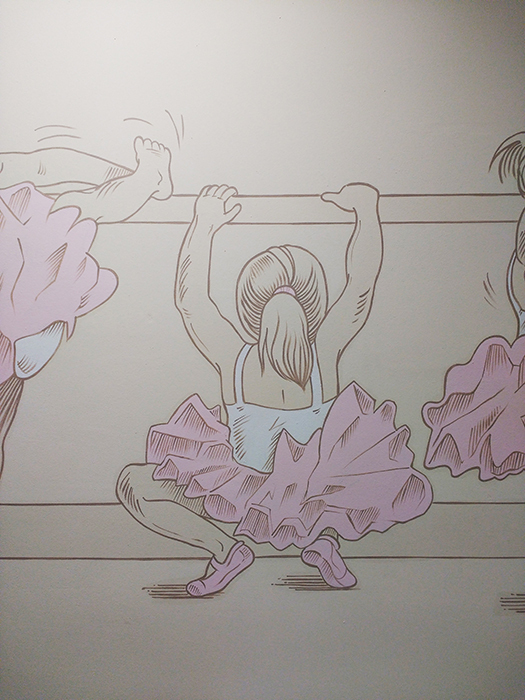 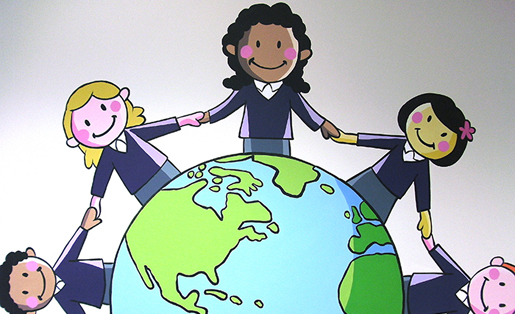 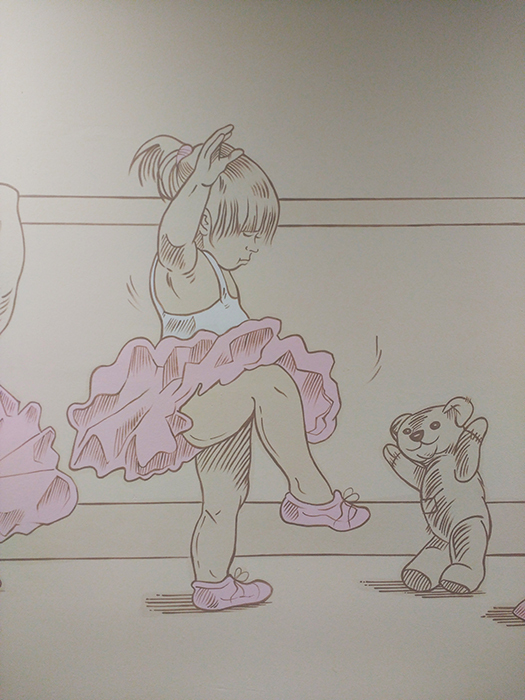 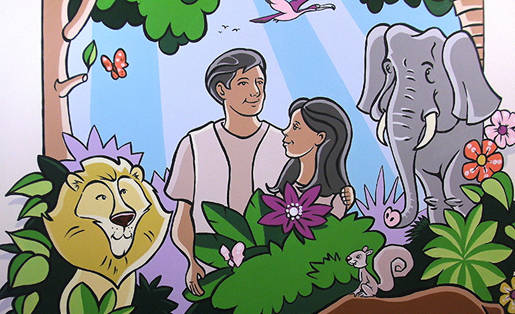 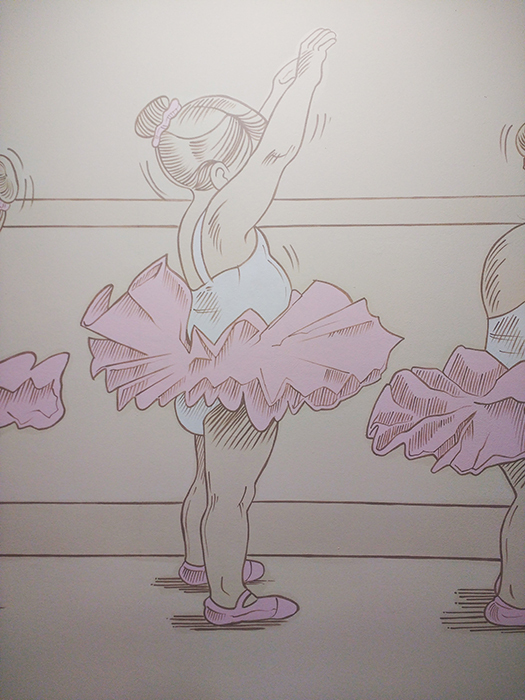 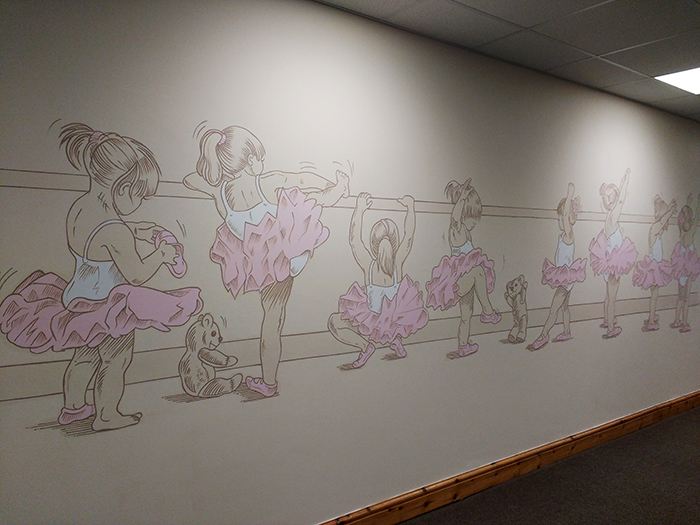 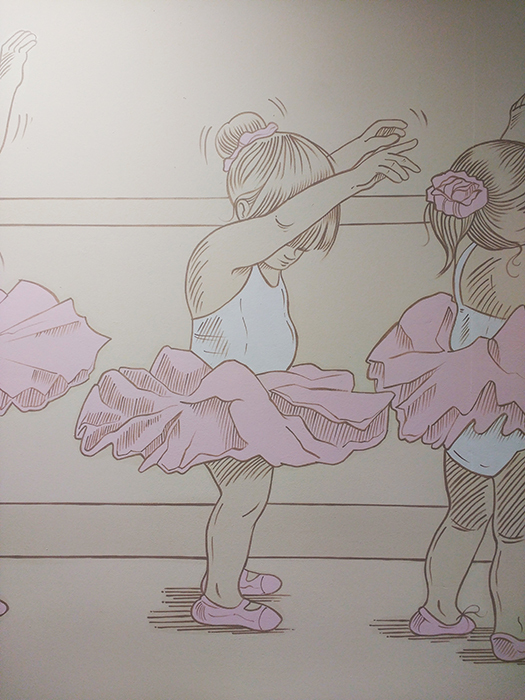 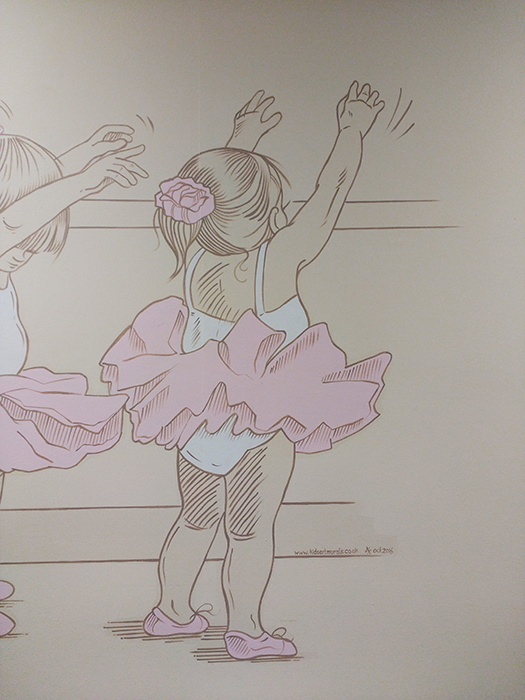 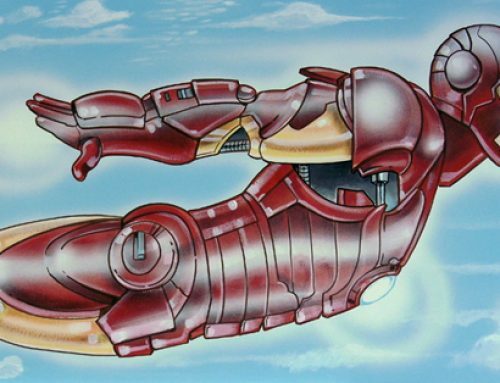 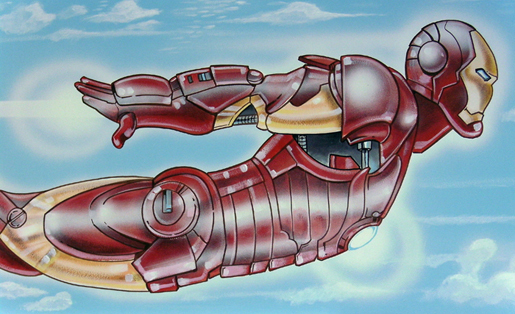 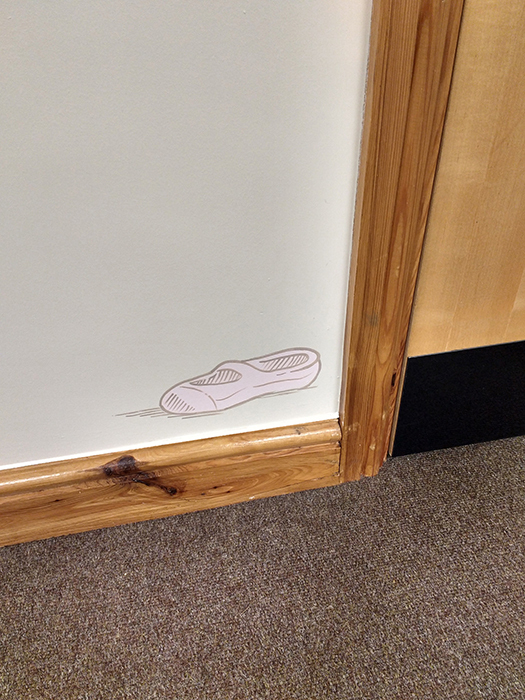 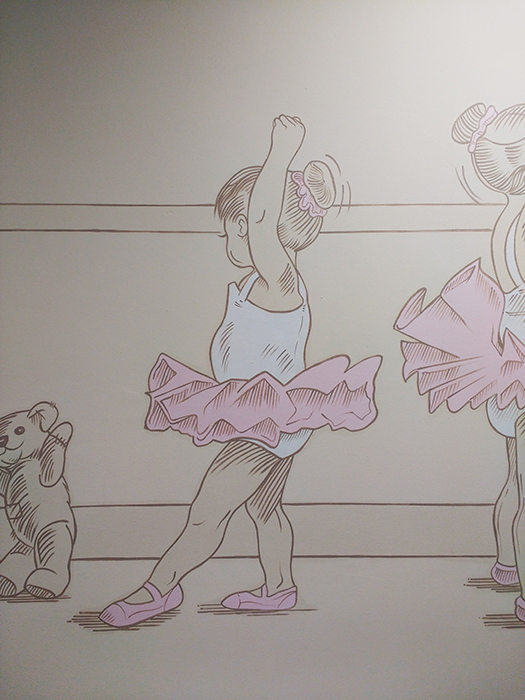 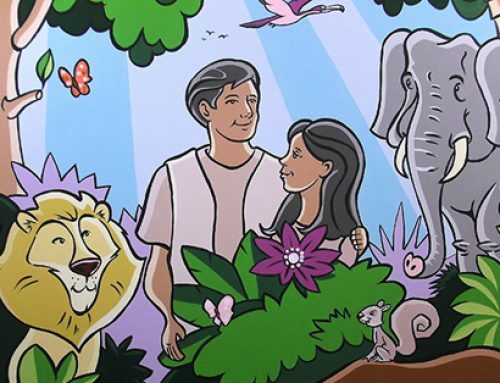 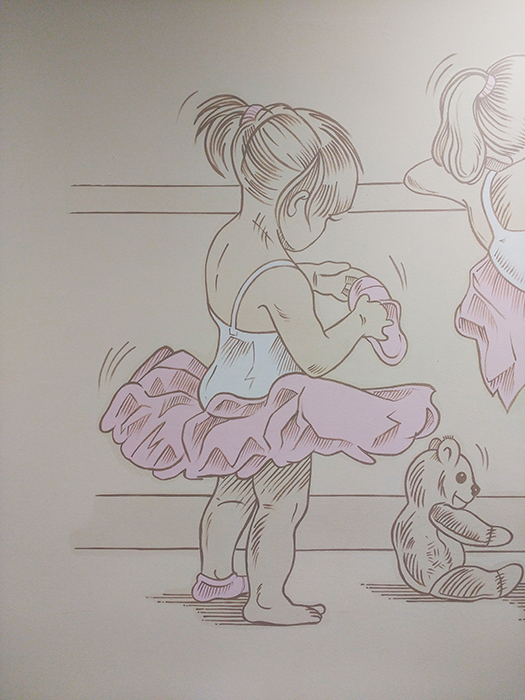 This delightful mural was painted on a long wall in the reception of a Ballet school. 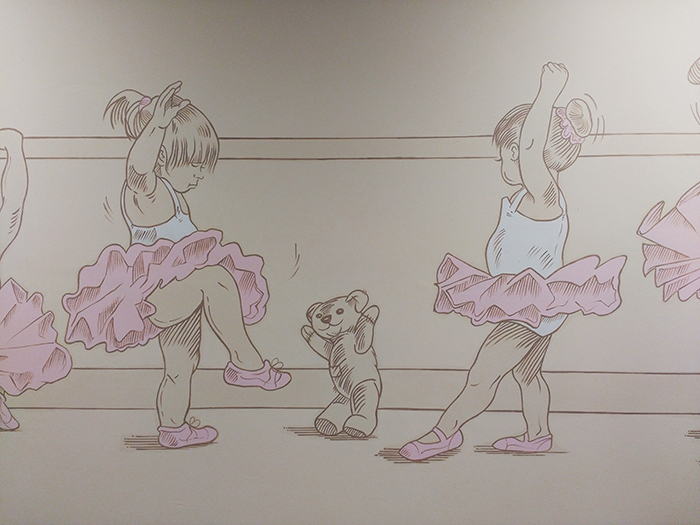 It was inspired by a pencil drawing that the Principal Dance Instructor had found in a book in Peterborough. 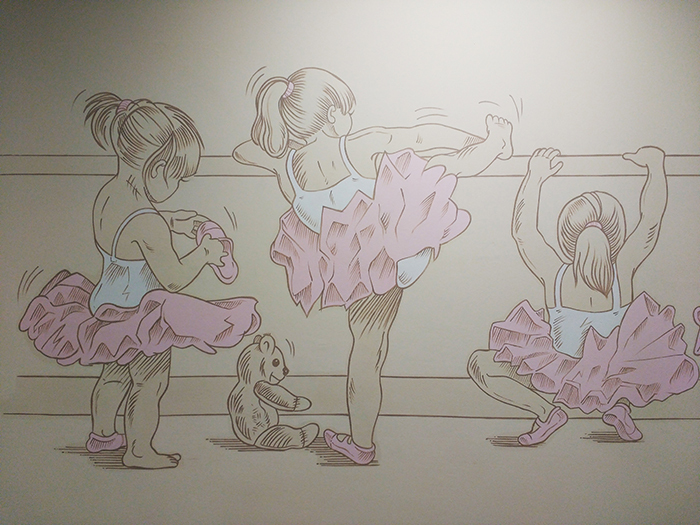 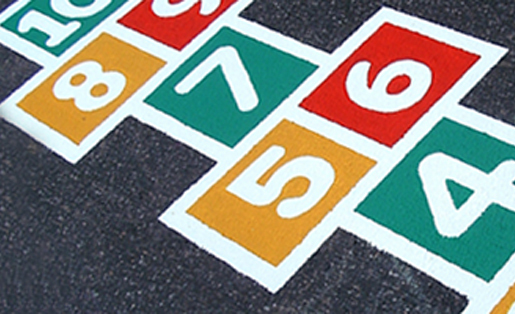 It was my task to translate it onto the wall using soft pastel colours. 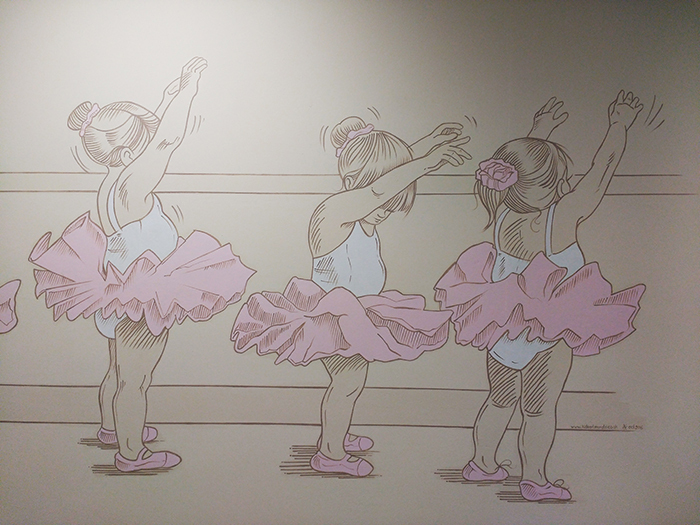 It is composed of eight baby ballet dancers in their tutu’s. 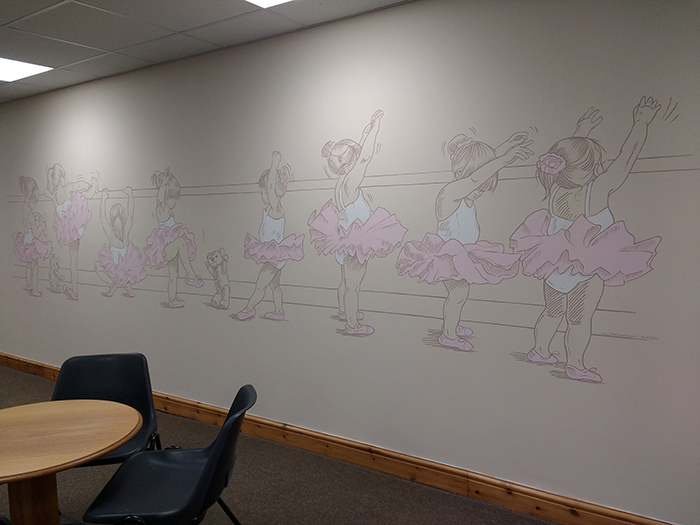 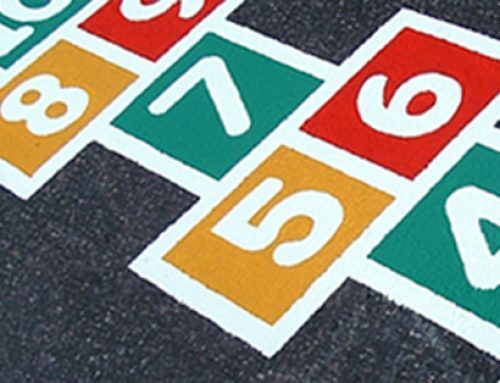 There was also some humour included into the piece, to create intrigue and interest for the children who attend classes at the school.